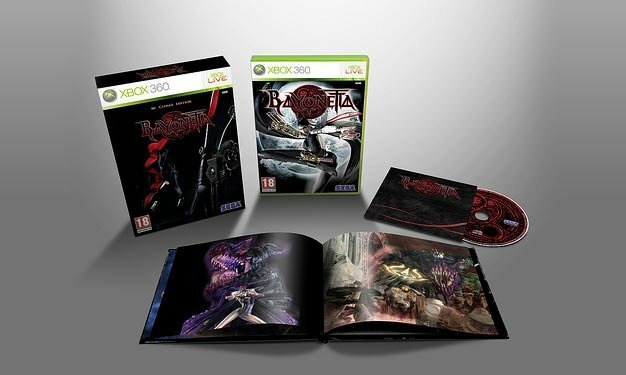 “Special Editions” of games are all the rage, and Sega of Europe has announced via their blog that Bayonetta will also be receiving such a treatment. The game will get the standard special edition treatment (that’s quite the oxymoron), and will include the game, a surely special cardboard sleeve, an art book, and a six-song soundtrack. No word on price difference, nor is there word on a US release of the SE, as it has only been announced for the UK, Spain, France, and Australia. Speaking of the land down under, they’re getting an even more special edition of the game. On top of the treats mentioned above plus yet another surely special cardboard sleeve, they get a pretty sweet looking replica of Bayonetta’s pistol: the Scarborough Fair. All of this can be yours in the Bayonetta: Climax Edition. When even Clive Barker’s Jericho gets a “Special” edition, they are no longer special. I would be angry at the fan gouging these sets represent, but I really don’t care because Sega can charge whatever they want in my book for having the grapefruits to call this thing the Climax edition. Kudos, guys.